Museum, hotel and conference centre expansions and the launch of a new dining experience in Sydney are some of the latest options for event planners. National Maritime Museum: Sydney’s Australian National Maritime Museum will see three new event venues open within the AUS$11 million Warships Pavilion on Darling Harbour, with the museum able to host more than 2,000 people for events over 11 spaces. The Pavilion will incorporate an open-air rooftop terrace with capacity for 100 cocktail-style, a multi-use, naturally-lit spce with capacity for 200 and a 'cinematic experience' space for 50. The Pavilion is due to be completed in September 2015. Star Event Centre: The Star has enhanced the conference facilities of its $100 million state-of-the-art venue with the addition of a 700 delegate theatre-style plenary room. The breakout space is located on the balcony of the Event Centre with views of the Sydney Harbour and city skyline and features permanent theatre-style seating. The Ternary: For groups seeking a bespoke dining experience, The Ternary offers three options, including the Grill Kitchen, the Asian Kitchen and the Wine Bar, all of which feature open theatre-style kitchens. 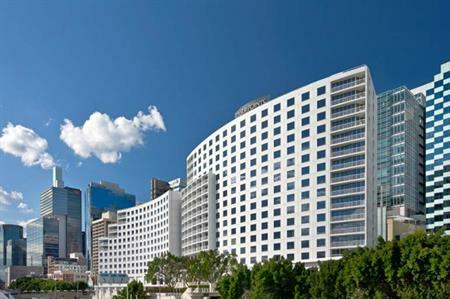 The venue is suited to small incentive groups and is located in Darling Harbour with views of the Sydney city skyline. Four Points by Sheraton Sydney: Located in Darling Harbour, the hotel, operated by Starwood Hotels, has embarked on an AUS$200 million redevelopment plan, including the addition of a third tower, increasing the total number of rooms from 648 to 905. Alongside this, 4,800sqm of convention, meeting and event space will be added, featureing floor to ceiling glass to maximise natural light and offer uninterrupted views of Darling Harbour. The convention space is scheduled for completion by May 2016, while the new tower will be added by August in the same year. Other additions include a new bar and restaurant concepts.